Your guests will feel like a kid in a candy store with our candy sweet station! 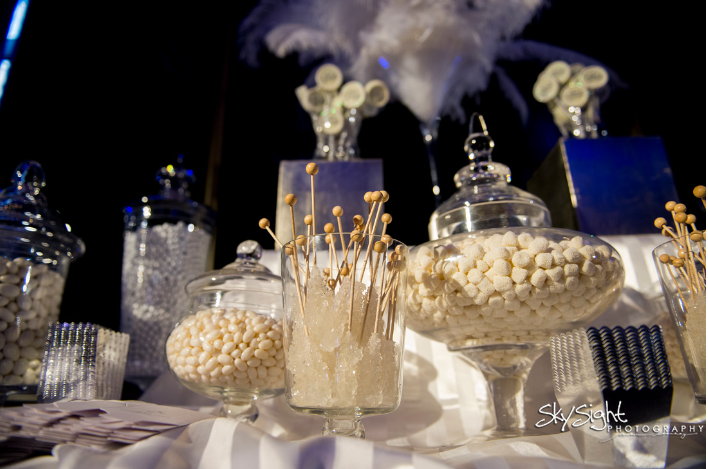 Customize your station with your favorite candy while we tie in the colors and theme of your event! Choose from a variety of classic candy. Included in the package is approximately ½ pound of candy per guest as well as color coordinated candy cups, all stands, candy scoops, and signage. For an added “wow” factor, you can upgrade your Lil’ Z’s Candy Bar by adding premium candy, candy kabobs, and lickity schtick items such as cake truffle pops, rice krispie pops, HoHo pops, marshmallow pops, s’more pops, and more!